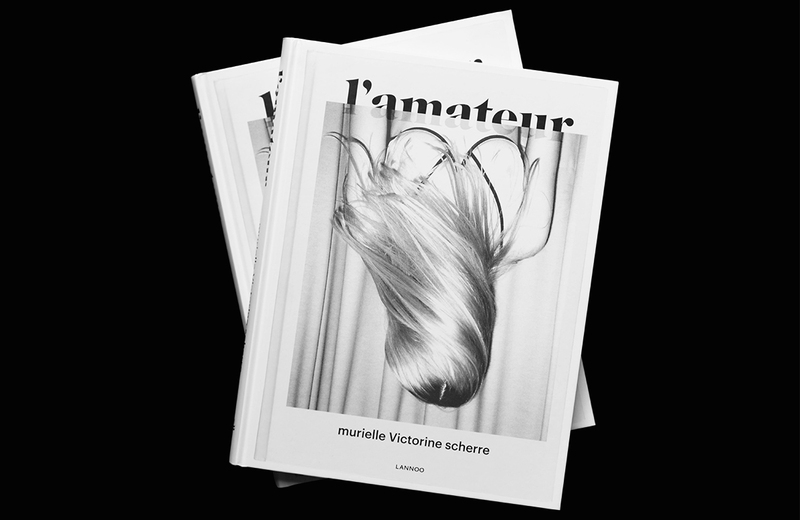 On the occasion of its 10th anniversary, la fille d’o commissioned us to design a book gathering archive material, snapshots, editorial shoots and various contributions. True to la filled d’O’s DIY spirit we set out to make an analogue version of their archive. 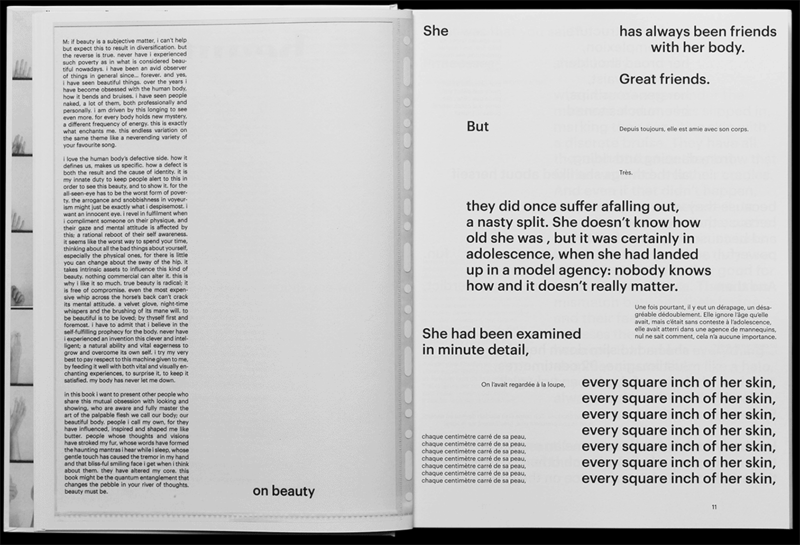 Using print-outs of the archival material, compositions were made in plastic folders which allowed us to quite literally edit the book ‘hands-on’ in an unconstrained way. Afterwards, these plastic folders were photographed and became the pages of the book. 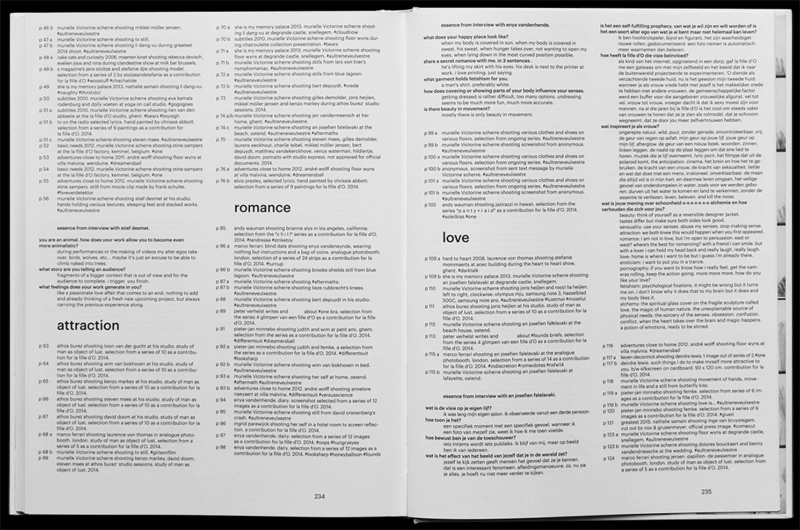 The accompanying texts–divided in 9 chapters–were set with indents, spaces and repetitions, highlighting the meaning between the words.